This year’s Conference is almost upon us and, with around 100 attendees signed up, and a varied programme, it is shaping up into what we hope will be another informative and enjoyable occasion. Apart from the lectures and Festival of Hymns in St Mary’s, Charlton Kings, there will be a Short Metre session, and short opportunities to sing new words and tunes, to explore the thorny issue of trying to gain wider exposure for new words and music, and to gain an insight into Worship Live. With both Short Metre and new words and tunes, there are still a few opportunities available for Conference attendees to either speak for ten minutes on a hymn-related issue that they would like to share or to sing one of their new hymns or tunes. If you are coming to Conference and would like to take advantage of either of these opportunities, please get in touch with the Secretary (details above) as soon as possible. With this Newsletter you will have received the Agenda for the AGM to be held on Friday, August 1st at the Royal Agricultural University. Although it is not indicated as an agenda item, the Treasurer’s Report will include a comprehensive review of membership subscription rates to take effect from January 2016. It will then be four years since the last increase and, as everybody will be well aware, postal costs alone have already in that time risen enormously. 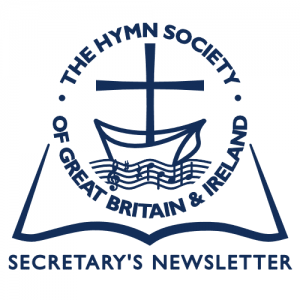 Our Conference next year will take the form of The International Hymn Society Conference which we are hosting (an opportunity which we have once every eighteen years!). The Conference, to be held at Robinson College, Cambridge, will begin on the afternoon of Sunday, July 26th and end on Saturday, 1st August. 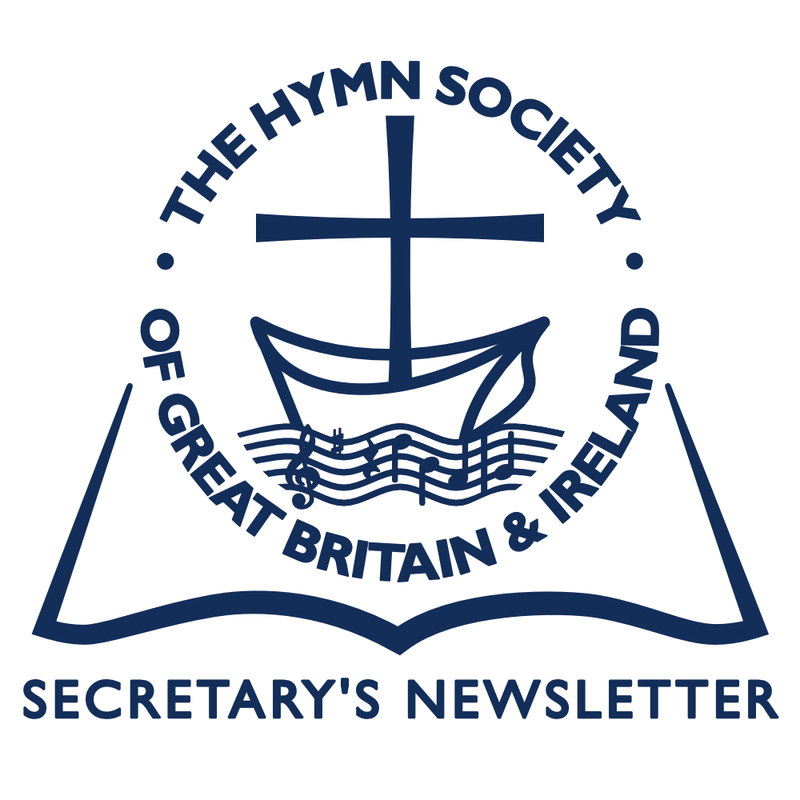 The Hymn Society of Great Britain and Ireland, The Hymn Society in the United States and Canada, and IAH (the Society covering the whole of Europe), will each provide three lecturers. In addition, there will also be a lecturer from The Welsh Hymn Society (Dr E. Wyn James, who is also a member of our Society). Our HSGBI lecturers will be our Honorary President, Baron Williams of Oystermouth, the Revd Canon Angela Tilby, and the Revd Professor June Boyce-Tillman. In addition, there will be opportunities for members to present ‘Sectional Papers’ (the equivalent of an extended Short Metre). There will be an outing to Ely which, we hope, will include the opportunity to attend Choral Evensong in Ely Cathedral. There will also be a Guided Tour of Cambridge. We anticipate hymn-related displays provided by both the University of Cambridge Library and Westminster College, Cambridge, which has its own fine hymn book collection. There will be three Hymn Festivals, one hosted by each of the participating Societies. There are two residential options for attending: the full Conference, from Sunday afternoon to Saturday mid-day (six days) which will cost £750.00 and an alternative, shorter option, Sunday afternoon to Thursday mid-day (four days) which will cost £550.00. The Day Visitor rate will be £75.00 per day. The Outings are optional and will cost an additional £25.00 each. As we are the hosts, we hope that as many of our members as possible will opt for the full Conference. As usual, for those who would wish to come but for whom the cost is an obstacle, a number of bursaries to enable attendance will be available – please apply to the Secretary as soon as possible. Early booking for this Conference is essential and a dedicated Conference Website for this purpose will be opening shortly (details will be available on www.hymnsocietygbi.org.uk). A paper Booking Form will also be available. The Music Ministry of Pullen Memorial Baptist Church, Raleigh, North Carolina, USA, is holding its first Church Music Search for composers and authors. It will be an annual international search for the creation of congregational hymns, choral anthems and orchestral music that engage and exclaim liberal Christian theology and associated themes. Each year a different musical category and theological theme will be selected to resource Pullen and other theologically-liberal congregations with artistic and meaningful church music. The 2015 search is for an SATB choral anthem suitable for adult choirs with organ or piano keyboard accompaniment. Other optional instrumental parts may be included. The anthem should express the meaning and celebration of Easter from a theologically-liberal view-point. There will be an award of $1500 for the creator of the winning selection (or divided equally between author and composer). The Pullen Music Ministry will retain the right to print and use the winning selection in perpetuity but copyright will remain with the creator(s) and a publisher will be sought for the winning composition. www.pullen.org/musicsearch. For additional information contact Larry E. Schultz at lschultz@pullen.org. Arrangements of this melody have appeared in several hymnals. The earliest mention of it among hymnal companions may be The Hymnal 1982 Companion, vol. 3B, page 1002 (Episcopal Church of the United States) where it is noted that Harry Coopersmith included the melody in Songs of Zion (New York, 1942). Possibly the melody is “in Hasidic style” without being a genuine Hasidic melody; or possibly it is genuine. Several consultants believe that Coopersmith himself did not compose the melody. The tune appears as “Israeli folk melody”, arr. by Norman Warren, no. 103, in Carol Praise (Basingstoke, 1987). However, it has been established that Mr Warren does not know the origin of the melody. The fact that it occurs in at least one British collection raises the possibility that the melody was known in England or Europe before Coopersmith published it in 1942. That’s the question: how far back can YISRAEL V’ORAITA be traced? Richard Proulx’s arrangement of YISRAEL V’ORAITA (aka TORAH SONG) is in the current Episcopal Hymnal. In a recent Newsletter (Secretary’s Newsletter: No.58: Autumn 2013) the earliest ‘sightings’ in the UK of the tune MORNING LIGHT were requested. The oldest occurrence so far, under the name GOODWIN, appears in The Union Sacred Tune-Book, A collection of tunes for congregational use in all the various measures, at no.449 (Glasgow: Wm. Hamilton, music publisher, etc.) in 1871. However, it was also noted in the original request that in America, although it was published in 1837, it was only in 1842 that it was associated with a hymn. ‘Tis dawn, the lark is singing, sweet chorister of morn. And in yon dell are ringing soft notes from ev’ry thorn. 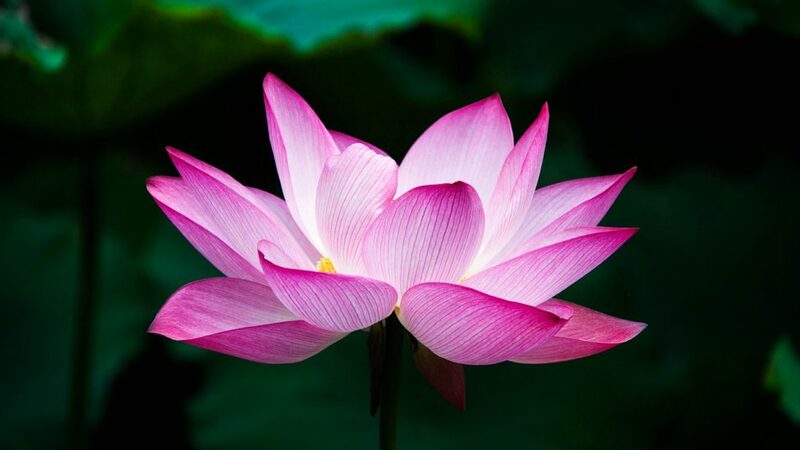 and joyous melody—breaks from the valley dim. for benefits that blend—their being with the sky. From the Dioceses of Dublin and Glendalough, following their video Music, Eucharist & You, released in 2012, Church Music Dublin now presents Essential Hymn Playing, a guide to successfully leading congregational hymnody. It is hoped that it will be of interest and practical use.